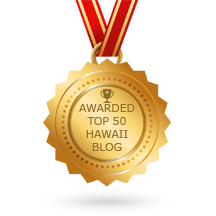 Do you want maximum exposure for your Kailua Kona Restaurant? We here at Kona-Hi.com have come up with an exchange marketing solution that will work for both of our businesses and our clientele. Kona-Hi.com specifically advertises exclusively for businesses in Kailua Kona. (AND WE GET OVER 19,000 VIEWS A MONTH!) We will offer you the opportunity to have your website advertised on our website under the category of “Restaurants in Kona” in exchange for allowing us to supply you with Tent displays for your tables. The tent displays are 5″X7″ self standing triangular displays with Kona-Hi.com advertising and have a location to stick your Pupu menu or Cocktail lists or “specials”. Of course if this is not something that you would desire, but are still looking for complete visibility, we still have four other options to gain access on our highly viewed website. Everything from month to month option that runs as low as $50.00 per month to advertising on every page in our arsenal for $100 a month +Tax with a six month prepayment. Our statistics are staggering.With way over 7000 hits per week and over 250 views on our restaurant page, we give your website the exposure you are looking for. Many people ask us what the secret to our success is on the internet and simply put, we are everywhere and we stay committed to working for Kona Hawaii businesses to make MORE business! Tap Here to get started on the pay options.  Tap Here for Kona-Hi.com website Stats. 3.) Our site is an active Blog so we get a lot of bloggers reposting our blogs, (this helps on our search ranking) We currently have over 18,000 followers. 4.) We get a lot of traffic from our domain names alone, we have Oahu-Hi.com, Waikiki-Hi.com, Lahaina-Hi.com, Hilo-Hi.com as well as RockKona.com. 6.) We also spend 20% of our budget to advertise on Google adwords and Facebook Ads. For an individual business to attempt to cover all of these bases it would take 1000s of working man hours and thousands of dollars every month and in some of the cases above, it is not even possible to duplicate. We take care of it all for you. Just supply us with your web address or Facebook page and we will link directly to your site. Each category is limited to 12 businesses. So ask yourself, how many new customers do you need to pay for this service each month?